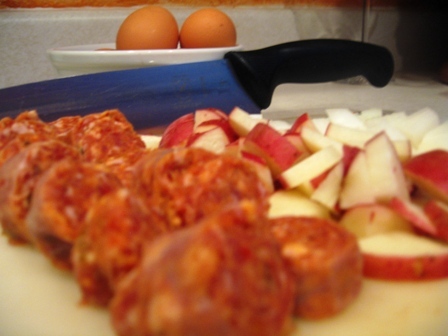 2 Links Torpedo Farms Pepper Sausage cut into ½ inch slices. 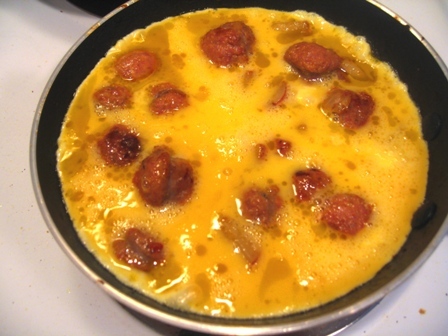 Heat the olive oil in a non-stick skillet/pan on med-high heat. 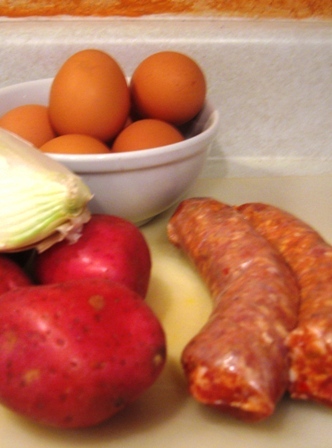 Add in the sausage, potatoes and onions, let cook until the potatoes are softened and lightly browned. Add in the whipped eggs slowly allowing to cook. 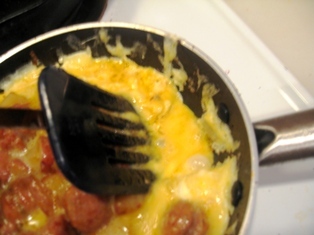 As the edges firm up with a spatula pull in towards the center of the pan to allow uncooked egg to go towards the edges. 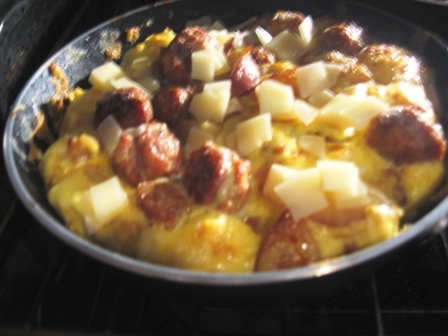 Do this several times until just the top has some undercooked egg. Place the pan in a preheated 425F oven under the broiler. The top will puff up slightly and brown everything nicely. 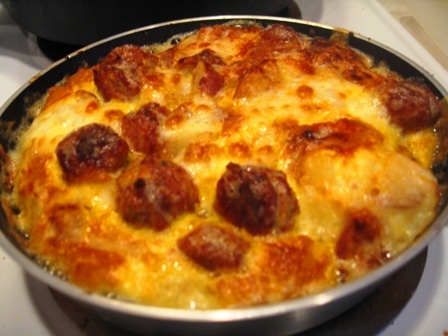 Add a touch of your favorite shredded cheese I used a provolone. 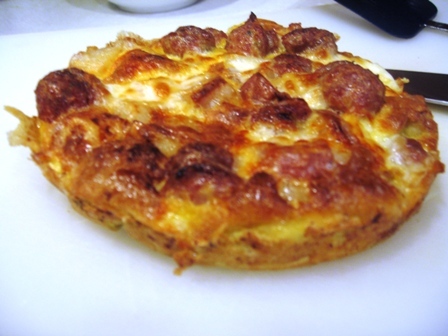 This can be made a day in advance and reheated on the trail. Everything sliced, diced and ready to cook. Pull in the sides as it cooks. Popped out of the pan ready to cut. Portion into wedges like a pie. 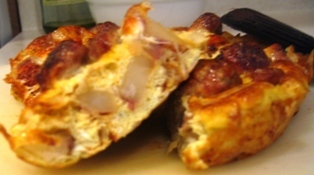 To make this dish on the trail it might lend well to being a scramble or large omelet rather than baked frittata due to the lack of broiler.